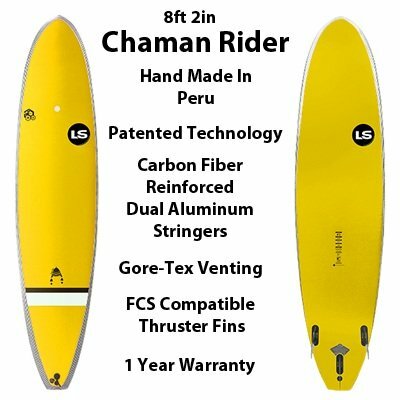 Chaman Rider High Tech Soft Top SurfBoards: 8 feet 2 inches x 23in x 3.15in Wt. 8.8lbs Vol. 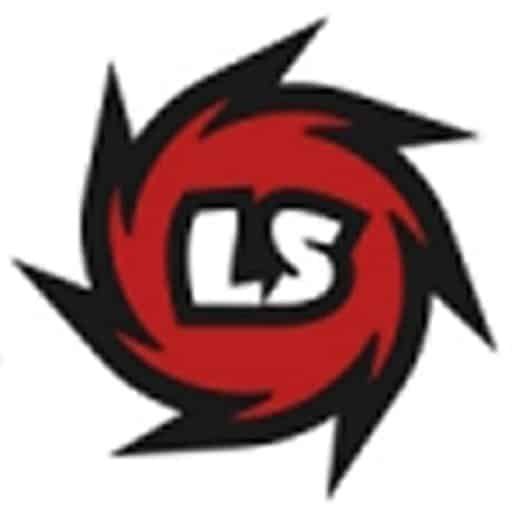 70.93lts Max. suggested Novice Rider Wt. 160lbs, more for experienced riders. FCS compatible Thruster Tri-Fin system. Made in Peru. Wide Nose Fun Shape surfboard. Patented Carbon Fiber Reinforced Dual Aluminum Stringer System, Gore-Tex Venting, Dura-Poly rail protection for enhanced durability. 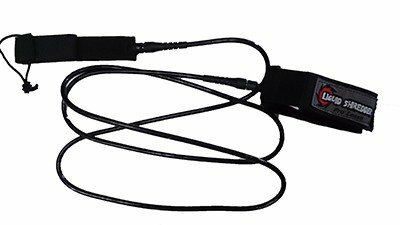 Tri-fin set of 3ea FCS compatible. Chaman Rider High Tech Soft Top SurfBoards by Liquid Shredder are a technical wonder. The Chaman (Shaman) is the Medicine Man in Inca Peruvian cultures. The Chaman Rider 8 feet 2 inches surfboard is a Magical softboard. It rides the waves like magic. Wide and stable shape available in 8ft 2in with medium rocker and FCS Thruster fin set makes the Chaman Rider High Tech Soft Top SurfBoards true to its Peruvian Inca Heritage. Patented construction makes it durable and very user friendly. Unique Vinyl skin is tough, color fast in the sun and easy to clean and repair. Patented Advanced Carbon Fiber Reinforced Aluminum stringer system makes it strong and light weight. The Patented vinyl skin system with Gore-tex vent insures no catastrophic skin delaminations. Let the Shaman guide you to see your Spirit Animal as you glide the waves on tour Magic Chaman Rider. Liquid Shredder Hi-Tech Softboards are tested in sanctioned surfing competitions.